Italian startup, Skaffolder was born with the idea of speeding up and automating as much as possible the work of programmers, making it less human-error prone. In this article, we would know more about the project and their experience on Product Hunt. Skaffolder, the platform allows you to create web applications, its structure, and pages, saving up to 30% of the time compared to the average, providing a code that is easy to understand and fully customizable for developers. The project started in 2016 in Castel Gandolfo, a town near Rome, with the MA thesis of Luca Carducci, CEO of the startup, majored in computer science with seven years experience in the enterprise world of software development. Francesco Malagisi (CTO), with an IT formation, Stefano Carducci, graduated in Statistics and COO of the startup, Simone Castrichella graduated in Economics and Management (Business Developer) and Francesco Gizzi, marketer and business consultant holding the position of CMO. Other than the vision and passion for this newborn project, all the co-founders share also the same year of birth: 1991. 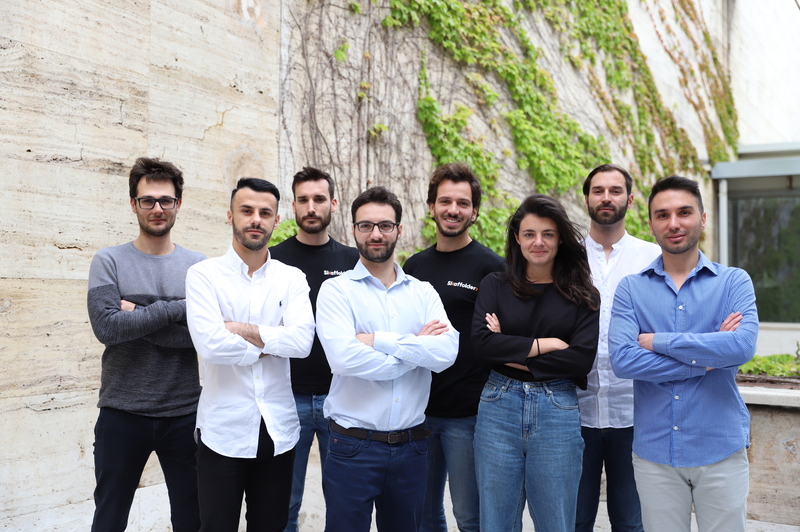 In 2018, which is also the year of the actual foundation of the company, Skaffolder became part of the startup network accelerated by LUISS EnLabs (Joint venture between LVenture Group and the LUISS University of Rome) receiving a fundraising of €80K. This becomes the current headquarter of the startup, which has its office in Via Marsala, 29H. The team is joined from the beginning by Gloria Nervi (25 years-old), graduated in Editorial Graphic Design as UX Designer and Andrea Giampà,(27 years-old) a student of computer science as programmer intern at Skaffolder. 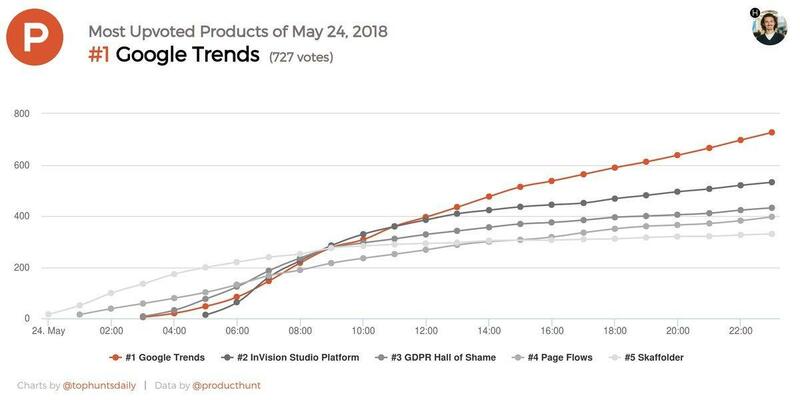 On the 24th of May Skaffolder went on ProductHunt. About this, we asked Luca Carducci (CEO). – How did it happen Skaffolder went on ProductHunt? Luca: – We worked on the ProductHunt launch for over a month, working on the new graphical interface to allow users to have better user experience and according to the feedbacks we succeeded in this task. It also took several weeks to find the right hunter and influencers that could give us feedback and support, so that we could be ready to have an actual impact and make the most out of this possibility. – You had taken the 5th place of the day. What is the result of you being on ProductHunt? Luca: – Being so ready, the result has been even more significant than what we expected: also though the day was quite unlucky because we had to compete against huge brands such as Google, Tinder, Airbnb, we got around 350 upvotes and over 400 new users, of which 100 can be considered active users. We do like significant numbers, but the most important result for us was the direct contacts we gained through this campaign: we were lucky enough to meet up with Elias Torres, CTO and cofounder di Drift (he was a VP of engineering of HubSpot), which saw the platform on ProductHunt and happened to be on holiday in Rome. He came by our office, and we had an informal chat about our business model, technology, and startups. – What are the main lessons learned from this experience? Luca: – We learned that people not only use our platform, but they also like to get involved in its development, that’s why we felt the need to create a slack community where our users can interact and talk about feedbacks and ideas for new features. We also learn that is important to choose the right day and analyse beforehand who you are going to compete with. – Which advice can you give to someone who wants to go to ProductHunt? contact in advance as many influencers as you can, their upvote can help you boost your campaign. – What is your roadmap for the next 3-6 months? Luca: – One of our main priorities for the next months is to integrate with the Italian public administration guidelines from “Team Digitale” to help software houses that are working on public portals in our country. We are also working on integrating mobile apps development on the platform, a feature that has been requested from many of our users. Soon you will find us on AWS Marketplace, which will make it easier for us to get in touch with software houses and allow them to activate the enterprise on-premises plan with just one click. We are also planning to move our headquarter to the silicon valley, where the environment is ideal for our business to flourish and where a lot of bigger companies we could integrate to are based. – What is your vision for the next 5 years in your field? Luca: – In the next 5 years, the world of web development is going to change even faster than what we are used to. Automation will be essential and so will be the tools used to help developers code faster. AI will also be one of the main topics, and it will be a significant part of the coding process. a website, Medium, Facebook, Invitation to Slack Community.